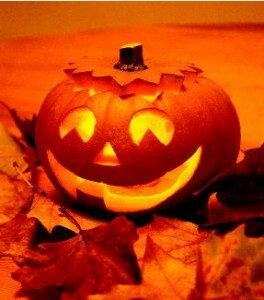 Vista Blog webcam news » Blog Archive » Live Halloween webcams – trick-or-treat. Not long now till Friday the 31st October 208. Start preparing for Halloween. Get in the Halloween mood and `spirit` by viewing our selection of ghost cams and spooky cams. We’ve hunted the Web to find the best ghost hunting cams and Halloween themed webcams to prepare you for Halloween. We’ve found some really scary ghost webcams in the UK, and the USA to get you in the mood for Halloween. Start preparing your trick-or-treat joke, or buy a scary mask or Halloween costume so that you can annoy your neighbours and friends on Halloween night on Friday 31st October. Enjoy viewing our Halloween webcams, around the world, to get you in the mood for Halloween 2008. If you know of another ghost web cam, or Halloween themed webcam that we should be featuring in our Halloween webcam section then don’t be SCARED to forward your proposed webcam URL link. You won’t frighten us after the scary experiences we’ve already had hunting for ghost cams on the World Wide Web. Have a really good time at Halloween. Good luck in hunting for ghosts in out Halloween webcam section. This entry was posted on Thursday, October 23rd, 2008 at 3:48 pm	and is filed under Special Events webcams. You can follow any responses to this entry through the RSS 2.0 feed. You can leave a response, or trackback from your own site.